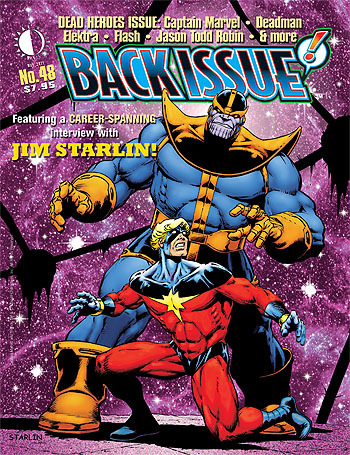 BACK ISSUE #48 digs up the dirt on “Dead Heroes” and features an extensive interview with and cover by JIM STARLIN! For a free preview of what editor MICHAEL EURY has on tap for this issue, you can download a free PDF preview here. Or heck, just go ahead and order it at this link (and see a FLASH preview of the issue). It’s a doozie! This entry was posted in TNT on 26 March 2011 by Mr. Morrow.